3:2mm neoprene construction means 3mm throughout the front for buoyancy, and 2mm in the back for flexibility. An adjustable collar provides precise fit with no unwanted scooping. Glued and sewn seams increase hydrodynamics and mean the suit will last race after race. Designed and constructed for optimum balance between buoyancy and flexibility, it is perfect for all levels of ability, be it competing in triathlons or for open water recreational swimming. The sleeveless design is perfect for swimming completely unencumbered by resistance of the shoulders while keeping you buoyant and warm. An easy-out zipper remains secure in the water but easy to find on land, further reducing critical transition times. 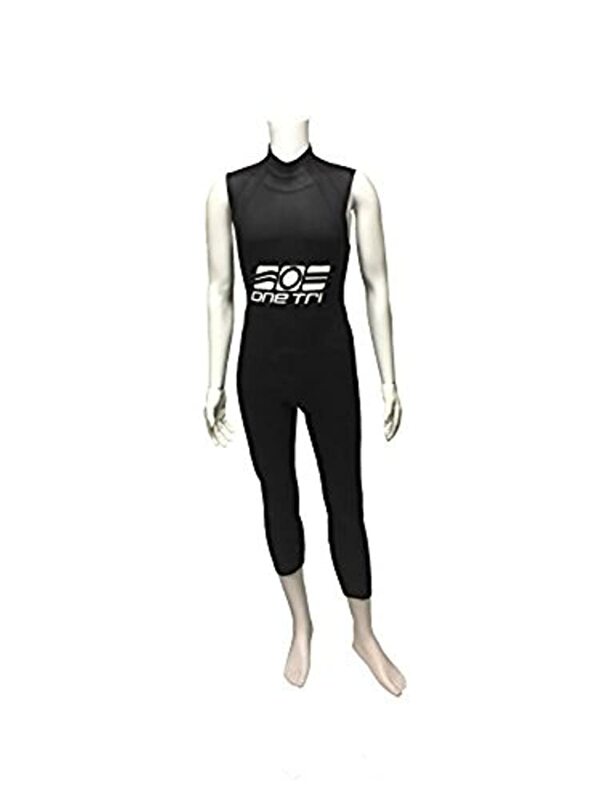 This is truly a triathlon suit that maximizes performance and minimizes cost. Comparable to the TYR SPORT Men's Hurricane Sleeveless Wetsuit Category 1 WHY YAMAMOTO NEOPRENE THINNEST // Japanese Yamamoto neoprene: our 3mm is as warm as other 4mm WARMEST // Filled with Nitrogen closed cells: over 30% warmer than Chinese neoprene LIGHTEST // Made from Limestone neoprene that does not absorb any water: dryer, lighter, and more flexible MADE FROM LIMESTONE For over 40 years Yamamoto has set the standard for quality and innovation in the neoprene industry. Their advanced manufacturing techniques involving the use of special polymers made from limestone (as opposed to petroleum based) have led to the creation of a rubber that has a completely independent cell structure and multi-directional stretch capacity. An eco-friendly option for the 21st Century.